Whether you have pelvic pain and need to release your muscles for pain relief or whether you have weakness and need to strengthen for control. When you cannot find your pelvic floor and when your pelvic floor does not respond to your exercise therapy then you need more. Pelvic Physiotherapy is a website by Maeve Whelan MSc MISCP at Milltown Physiotherapy (Dublin, Ireland) to assist patients as well as women’s & men’s health physiotherapists in the management of pelvic floor dysfunction. It is not possible to answer all questions in relation to the exercises via this website. At our Milltown Physiotherapy Clinic our Chartered Physiotherapists with a special interest in Pelvic Floor would be able to help, it might be time to visit one. With experience in treating the pelvic floor muscles? This Advanced Course in Pelvic Floor Manual Therapy will further skills in pelvic floor evaluation and manual techniques. 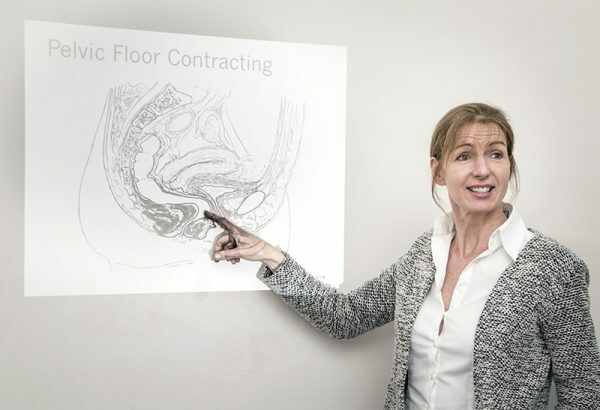 Physiotherapists should have basic knowledge of the pelvic floor anatomy and already be working with pelvic floor dysfunction Courses are ongoing at intervals in Milltown Physiotherapy Clinic, Dublin (Ireland). They have developed the skills to evaluate and treat pelvic floor muscle dysfunction to establish where taut bands and trigger points contribute to chronic pelvic pain and chronic pelvic floor dysfunctions. Would you like to arrange a course with Maeve Whelan? If you would like to organize a Manual Therapy Course regionally or in your country please contact Maeve at info@milltownphysiotherapy.com.